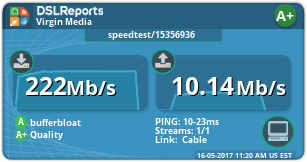 I am using Virgin Media 200 GAMER and when I do a speedtest with TBB, the single thread results never reach 200mbps on TBB but they do when I download test file set to 1 connection on IDM and DSLreports. What could the problem be? Given the behaviour of the multiple thread test things are not looking particularly good. 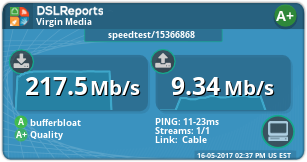 A recurring issue with Virgin has been that some routes out of the ISP sometimes run hot (i.e. congesting) so this means some sources/files will be good and others bad. 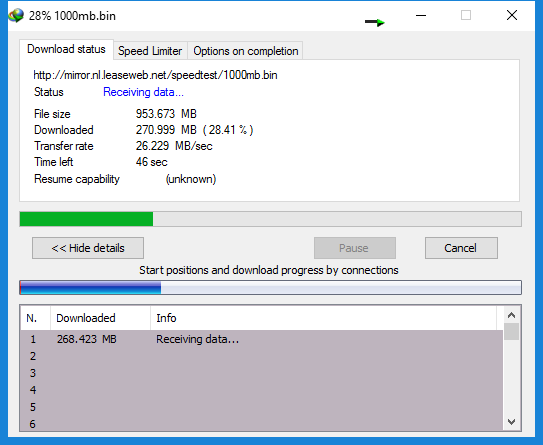 The 1GB download since it is a large single file may behave better than the test which if the 20MB file is being stalled when requesting subsequent copies can cause odd speeds. There is no reason why with a low latency service that subsequent file requests should be slow, but this may explain the behaviour, i.e. once the stream for the large file is open and running all is well. Also browser downloads actually automatically multi threading. On the DSL reports 1/1 do you know where the file was that was used? I'm using the Super Hub 3 if that makes any difference and on the CADANT INC CMTS with 16 downstream channels and 2 upstream channels. 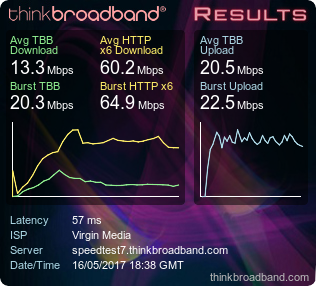 Essentially there is a bottleneck somewhere in the Virgin Media network and is a repeat of what went on earlier in year. 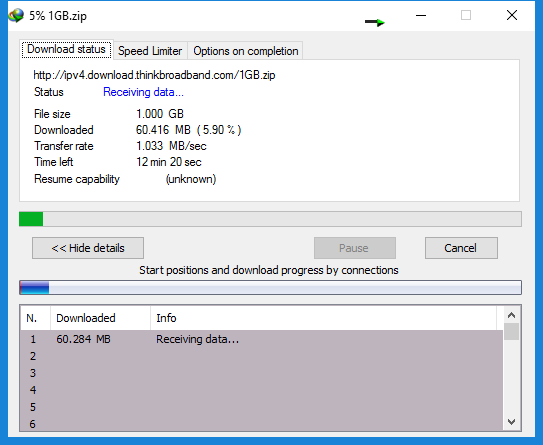 How is your everyday use of your connection barring test downloads and uploads? If you can do what you want without buffering, etc then don't worry.